One of the best gifts you can give to your child care provider is a good review. Why? Because small businesses thrive off good reviews and testimonials. Not only will it show you appreciate them, but it will help their business within the local community. According to Forbes, online reviews are the best thing that ever happened to small businesses. Research shows that 91 percent of people regularly or occasionally read online reviews, and 84 percent trust online reviews as much as a personal recommendation. That’s a big deal. 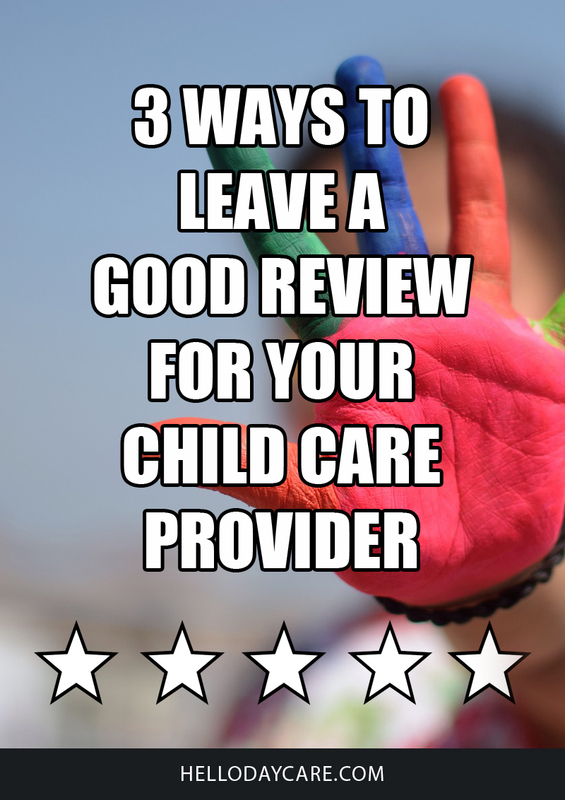 There are several ways you can leave your child care provider a good review. Here are just a few ways to show your appreciation. Facebook has recently changed their ratings and reviews to now recommendations. Instead of leaving a star rating you are asked either to recommend your child care provider or not recommend them, a simple yes or no question. Of course, select “yes” to share what you love about your child care provider. What are Facebook recommendations? 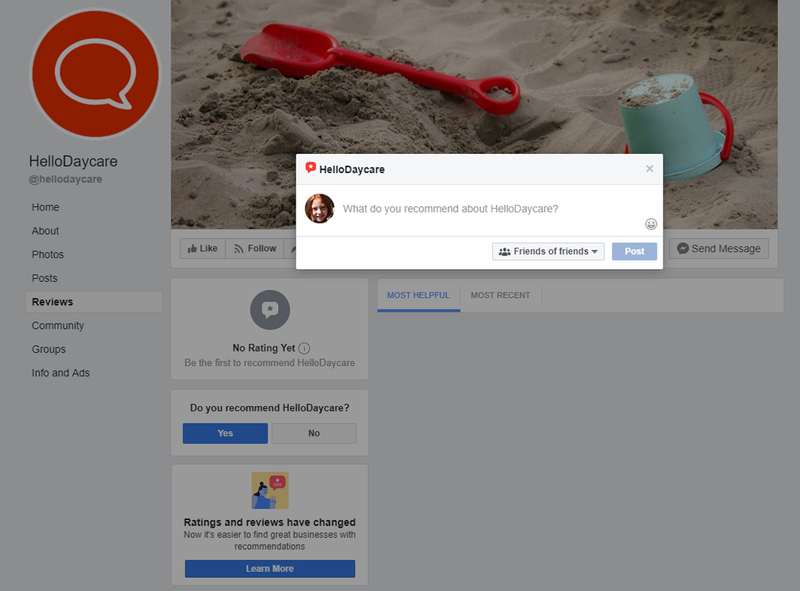 Facebook recommendations help business owners like child care providers establish their reputation. 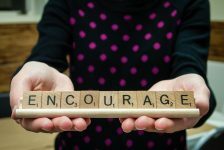 Leaving a recommendation for your child care provider will help them become more visible in the local community and help them attract more customers. First, find their Facebook business page and make sure they have their review tab turned on for customers to leave a recommendation. 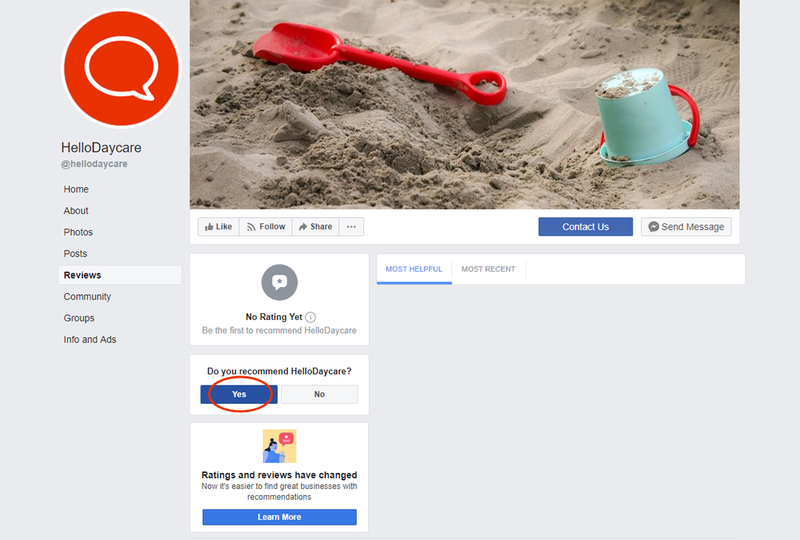 Look for the review tab on the left-hand side of your child care provider’s Facebook page, then click on it. Then click “yes”, to recommend your child’s daycare provider. 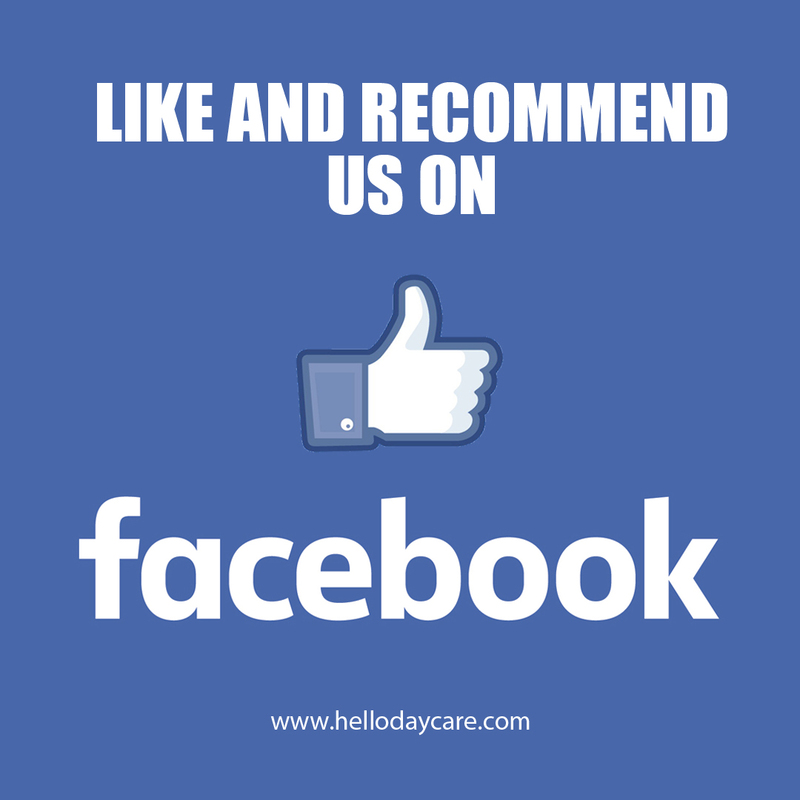 Make sure to leave a detailed post as to why you recommend your child care provider. The more positive feedback the better. If you’re not the first to leave a review, you’ll be given the opportunity to use tags and highlight the best features about your child care provider using pre-generated tags from past reviews. Posting recommendations on mobile allows customers to post a photo, too. 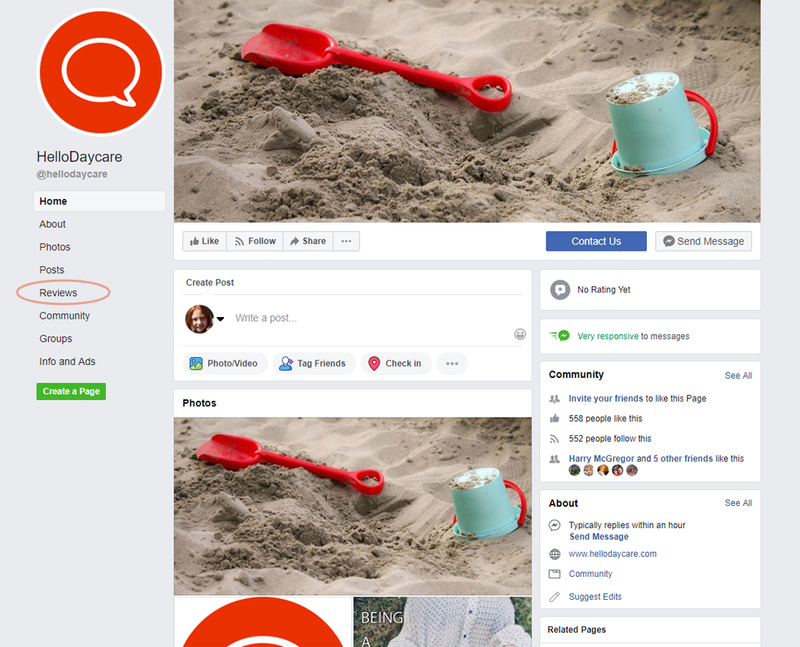 Social media is considered the way to go when leaving an online review for your child care provider, however, Yelp can be just as powerful too. A lot of potential daycare clients have contacted me on Yelp and that means they are reading the online reviews. 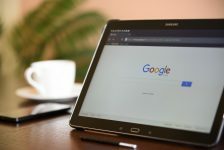 You can always leave a review on all three platforms we suggest in this article: Facebook, Yelp, and Google My Business. You don’t have to limit yourself to just one. Why not spread the love? Did you know that Yelp actually frowns upon Yelp business owners asking customers to review their business? It’s in their business account guidelines. Because, over time, solicited reviews create bias on your business page. In this article, we’re not asking, we’re just showing you how. So whew! 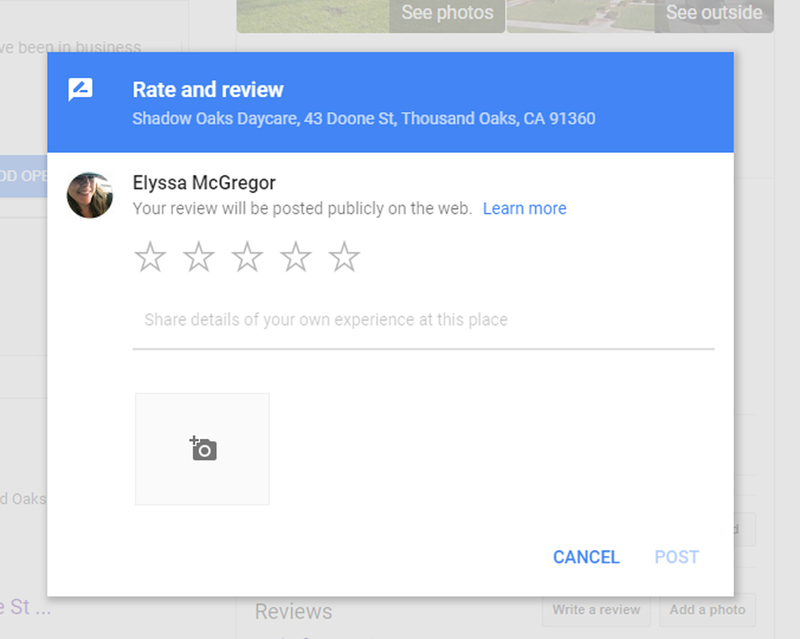 😉 And now even Google has joined them in the fight against review solicitation, but slightly more lenient than Yelp. 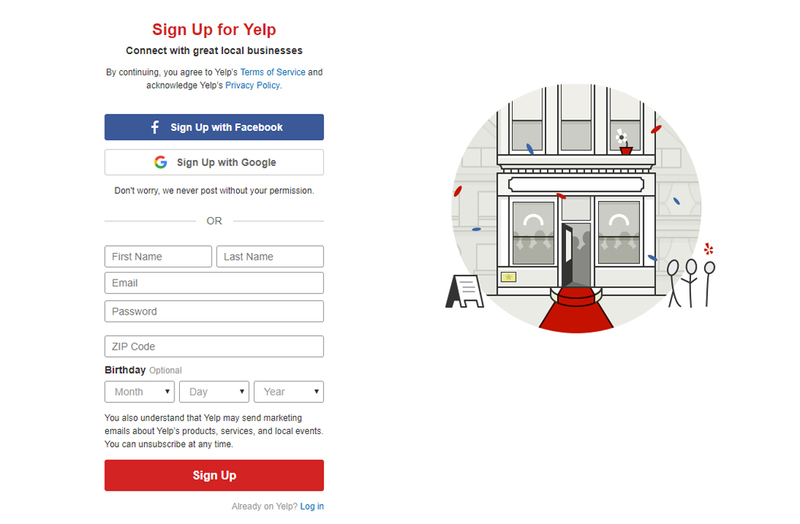 To leave a Yelp review, you’ll need to create a Yelp user account if you don’t already have one. Once you’re logged in, you can locate the child care business you’re trying to review. 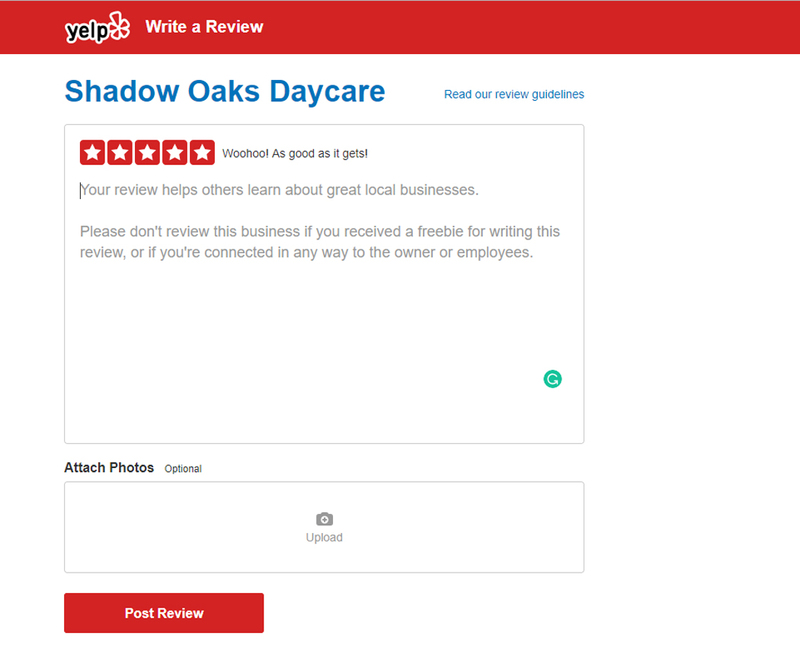 Click on the “write a review” red button underneath the child care business name. Then leave your review in the form shown below. You can select stars by scrolling over them, all the way from “Eek! Methinks not.” to “Woohoo! As good as it gets!” Make sure to select “Woohoo! As good as it gets!” for a five-star rating. Then write a detailed review and select the red “post review” button. Why leave a review on Google My Business for your child care provider? Well, for one thing, it’s the first thing that pops up on the right-hand side of the screen when doing a search for your child care provider’s business. That is if your child care provider added their business to Google My Business in the first place. Imagine what it would be like finding that same business on Google with 5-star rating reviews. What would that do for your child care provider’s business? And if they own a website, I’m sure it will increase their search results on Google by having a higher ranking on the search engine. 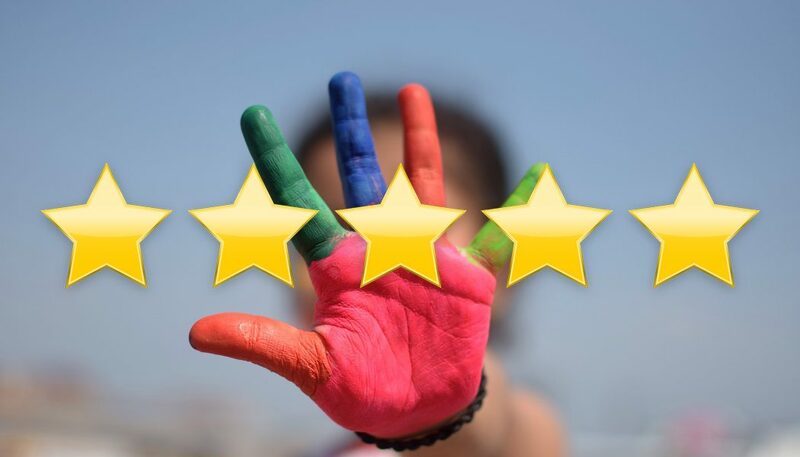 Google reviews may also have an indirect effect on SEO and your child care provider’s business. 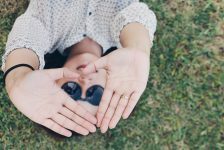 For one, it will increase click-through rate, as users are far more likely to click on their business based on reviews alone. 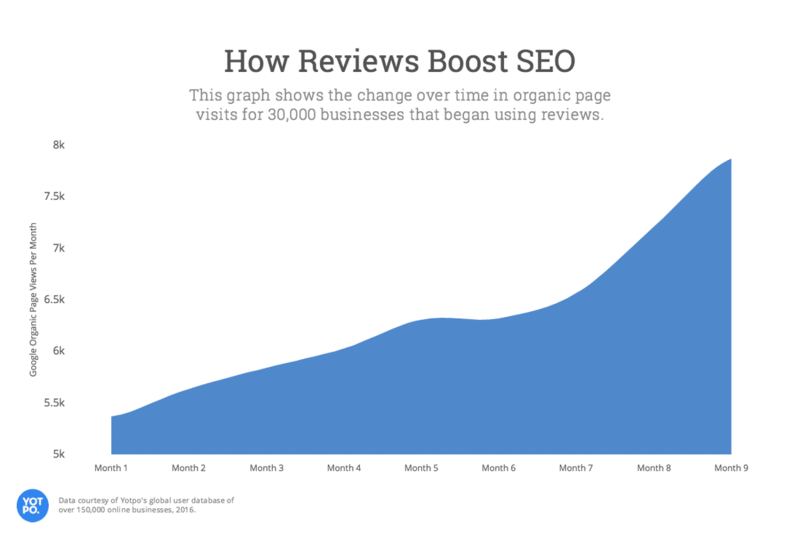 You’ll also find that businesses with good reviews will have increased trust and a potential to convert users to customers. For it tells users that your business has had success, makes customer satisfaction a priority, and does good work. 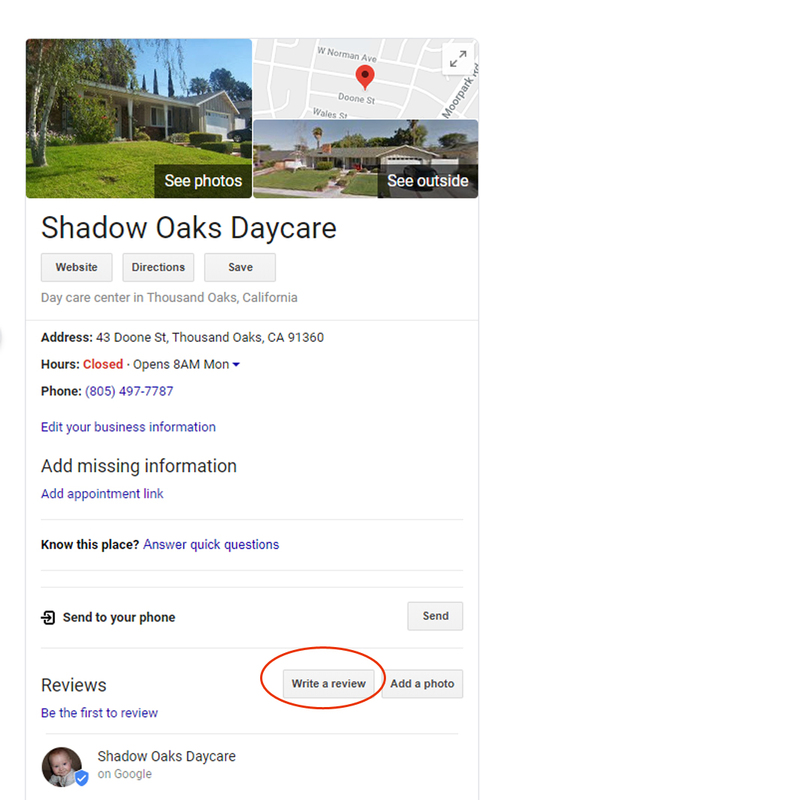 If your child care provider has claimed their business with Google My Business you should be able to find it with a quick search. Simply type in their business name by performing a Google search and look to the right-hand corner of your screen. Their business listing should appear there. Within the business listing, you’ll see a section called “Reviews”. Click on the button “write a review”. 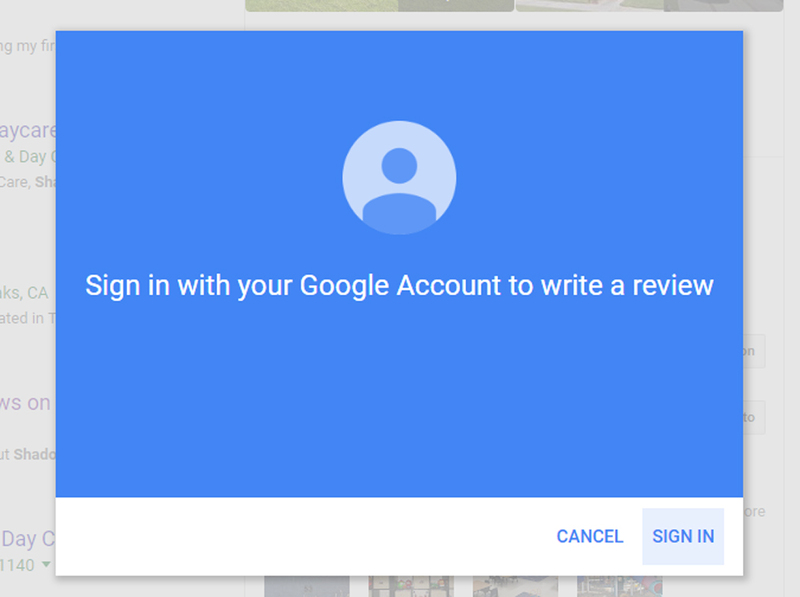 You will need to have a Google account in order to leave a review for your child care provider. This (log-in) is standard for most any credible review system. Click on the fifth star in order to leave a 5-star rating. Then enter the details of your own experience with the child care provider’s business. Include pictures if you wish and then click “post” on the bottom, right-hand corner. Write about things you would look for if you were touring this child care facility. Is it clean? 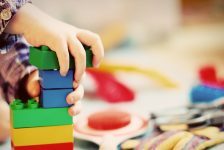 What is the temperament of the child care provider? How many children are usually in their care at one time? What is their daily schedule like? Write a post about a special memory involving the child care provider and children in their care. Keep it personal. 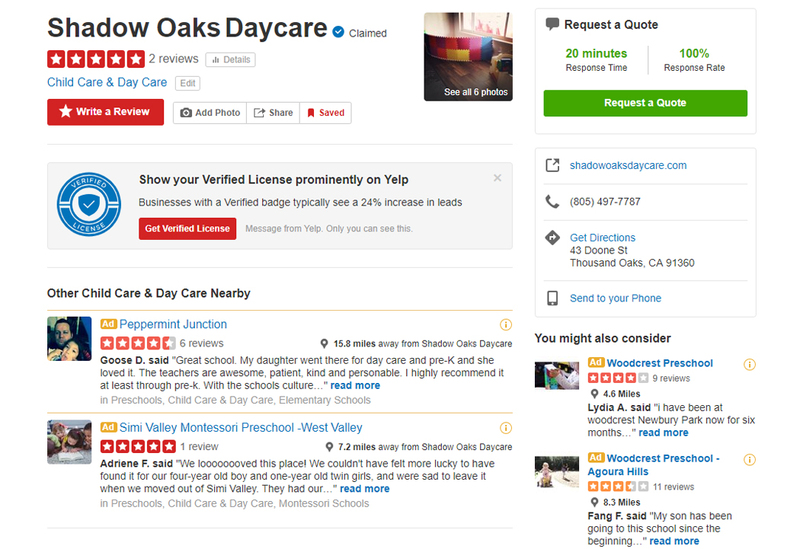 Other places you can leave a good review for your child care provider is Care.com, Yahoo! Local Listings, Angie’s List, Yellow Pages, and the Better Business Bureau. We’ve just listed the top three for you to choose from if you wish to leave your child care provider a good review. What are some other things you could include in your child care provider’s review? Leave a comment below.